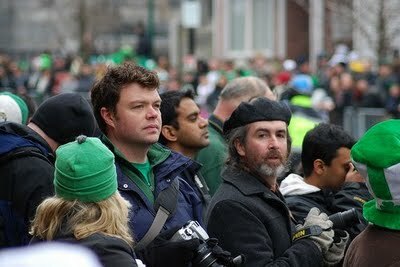 If you're going to celebrate St. Patrick's Day somewhere besides the Emerald country itself, Boston is the place. (Quite possibly this is why Greg yesterday oddly advised the missionaries to go drink a green beer today. Or he's trolling for a release...? They laughed nervously.) Everybody claims Irishness today. My related Irish blessing: May your heart be blown open. But in a painless, pleasant way. Tagged with Boston, L, M, holiday, poem. March 18, 2008 by Anne.